Fit4bond™ software introduces 3D Design studio for fashion ecommerce business ! We’re excited to announce that fit4bond builds 3D design studio application for fashion ecommerce industry. Fit4bond takes its step for the welfare of business owners to offer the best user experience through ecommerce websites. What is 3D design studio ? Comprehensive business package of plugins and add-ons for online store to provide the tools you need for designing elements located at 3D Renderings, 3D Visualization, 3D presentation, 3D zooming. The 3D Design Studio has combined all of their 3D plugins and add-ons for design into a single package. Fit4bondTM specializes in creating powerful and photorealistic visualizations in 3D modelling, 3D rendering and 3D prototyping. Since 2015, we have experienced to offer comprehensive 3D solutions for online stores on clothing, tailoring, fashion, accessories etc.
" The world of reality has its limits the world of imagination is boundless "
It is exactly true. Because everyone has an unique thoughts to design their owning as they love. How 3D design studio works for fashion designers ? If fashion and clothes designers implement these 3D designer studio in their real time work environment. Designing a single fashionable product ( clothing, accessories, jewellery ) or complete collections is now easier in 3D design studio.Fashion designers showcase their predefined & preexisting sample works in 3D view to the user for their better understanding. Users can feel immersed to see on 3D presentation. So order will easily goes to your cart. Users can design their own if it is an new and trendy one. The admin of the business should approve designs of the user for showcasing it in the website. Users can also choose the new design which is displayed in the website for the designs. Manual work burdens or paperworks can be eliminated easily when designers implement 3D design studio in their business. Eradicating burderns in manual is considered to be an difficlut one. But this is easy when it comes to online. In online can be overcomed with 3D design studio. Designers can get more benefits if they integrate 3D design studio in their fashion ecommerce store. "Designers can maximize their creativity while staying on time and within budget." Will 3D design studio works for consumers? 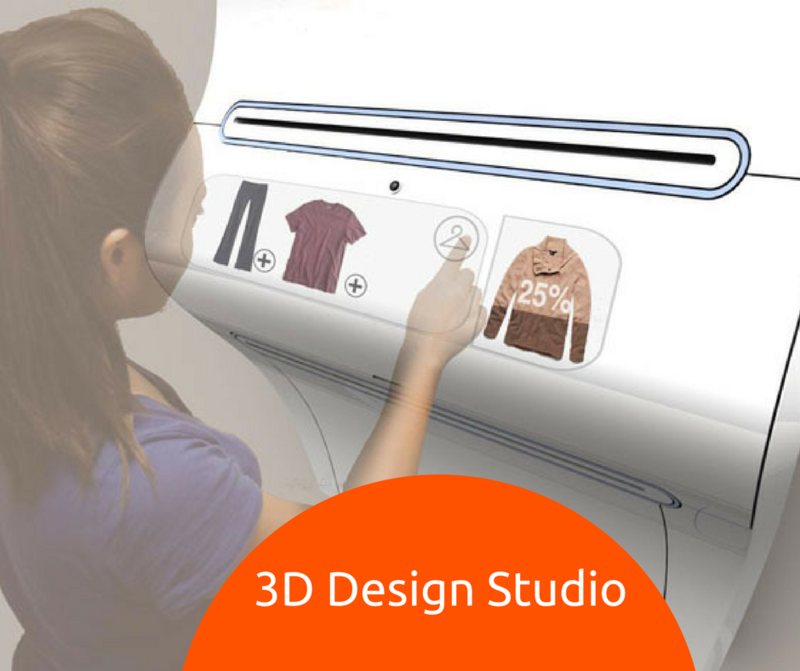 Users can also use this 3D design studio to customize and design their apparels. User will enjoy for their own creative designs for own wearable. In the current generation, users are eager to design their apparels so designers can try this creative way to enhance their business sales. Want to experience the power of 3D design studio for your online store ? Our team experts are here to help you to define a strategy and get 3d design studio implemented for your fashion ecommerce business store.